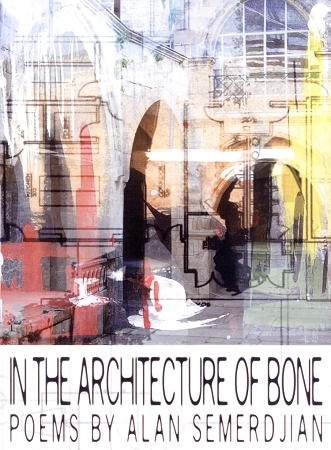 In the Architecture of Bone is a collection of poems inspired by poet Alan Semerdjian's Armenian heritage. Drawing on the history of the Armenian people as well as on the contemporary Armenian experience in the diaspora, Semerdjian’s poems convey this particular melding of cultures and histories in a lyrical, understated voice. Semerdjian’s collection recalls his personal journey while quietly evoking universal themes of exile, suffering and memory. Through his poems, he highlights the strength and perseverance of the Armenian people in a way that resonates. This is Alan Semerdjian’s second collection of poems. He released An Improvised Device in 2005.